You can count on us to provide you with high-quality locksmith service, 24 hours a day, 7 days a week. Our locksmiths are all extremely professional. We know how stressful it can be to find yourself locked out of your home or find that your locks are not providing the necessary level of protection. Call us today at (866) 306-8557 for residential locksmith San Diego or North County! Your local locksmith is here to help with more than just home lockouts and lock repair. Whether you are building a new home or opting to upgrade your home’s old locks to improve your curb appeal and security, your locksmith can help you choose the right type of lock for function and ease of use. Exterior doors should always have deadbolt locks, regardless of whether the handle includes its own lock. A deadbolt offers greater security because it cannot be moved except by rotating the cylinder inside the lock. Sliding doors can be outfitted with a number of lock types, from a simple catch hook to a keyed handle lock. You should also consider an interior locking system for the base of the door, which provides added security against break-ins. Interior doors may or may not have locks, depending on your preference. These locks typically do not have keys, but include a button that is pushed or turned from a room’s interior for privacy. Ensuring your window and door locks are installed properly and remain in good condition will allow them to do their job when it comes to keeping your home safe and secure. If you notice signs that your locks are damaged or no longer working sufficiently, call your local locksmith at 7 Day Locksmith at (858)-281-5706 for lock repairs or replacements in San Diego. If your key keeps getting stuck in the lock, the lock may need cleaning, lubrication, or repair to address worn or damaged parts inside. Loose doorknobs and deadbolt locks are typically caused by constant use over time. However, loose locks can be easily compromised—your locksmith can tighten or re-fit the locks for improved security. Rusted locks are a clear sign that your locks need attention, as rust damages the lock mechanism. You should always have a rusted lock examined and addressed by your locksmith. building a barbed wire fence and having guards standing by at all times. But in truth, what you really need to be focusing on is something much more basic: the locks on your doors. These are your home’s first defense when it comes to the ongoing battle against intruders. These locks separate you and your loved one from the big bad world. 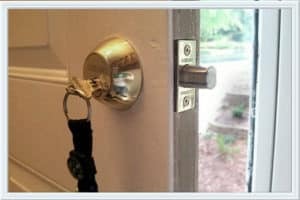 This is why it is absolutely essential to have a professional residential locksmith San Diego to be at the service of your home for all security and related concerns. Without a locksmith, your locks will just stay there and age over time. There are two problems with this. The first is that the longer locks stay around, the greater the chance there is a copy of the keys in the wrong hands. It could be someone you trusted with the keys who you no longer trust or it could be a set of lost keys. Secondly, the keys become easier to locks become easier to pick as thieves become smarter, so your locks need to evolve with them. 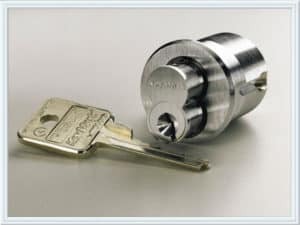 This is why you need 7 Day Locksmith to take care of your locks. install and repair other security measures like peep holes for your doors. In case you are already the victim of a burglary, you still need a residential locksmith San Diego because we perform burglary damage repair that can help fix your locks that have been broken or damaged following a break in. At 7 Day Locksmith, we also help you with emergency lockouts, as we understand that it is unsafe for you to be stuck outside your home. Aside from these, we also perform all sorts of other important services, like key cutting, extraction, duplication, and replacement. We also create master key systems for safer, more convenient. We can also help you access things that you left under lock and key, like when you cannot open your safe. Overall, we are here for all your lock and key needs, so if you need anything done, give us a call, and we will give you a quote. You can expect quality service when it comes to any service you might require.